SatNOGS is an integral part of the Libre Space Foundation. The project aims to build a global network of satellite ground stations. Designed as an open source participatory project based on the users operating a ground station that is accessed via a web page for all of the network users. 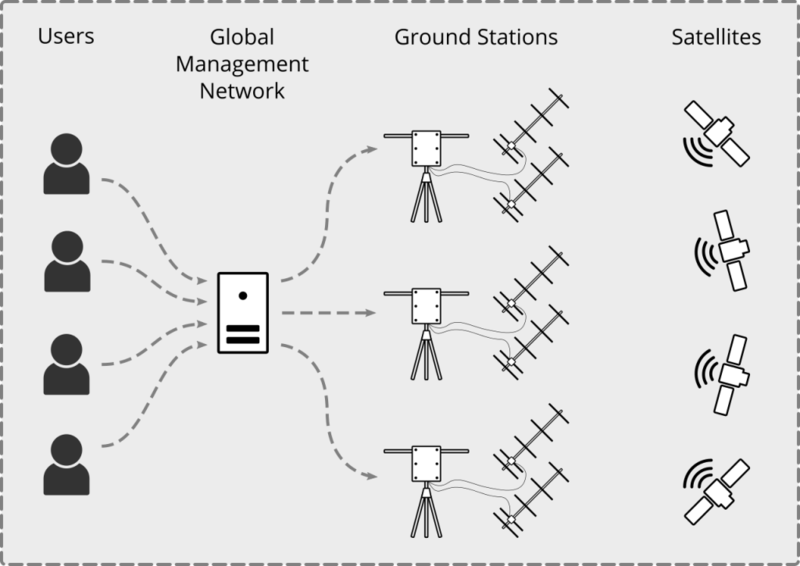 A basic ground station can be made up of commercial off the shelf components that are commonly available with a static through to more complex stations with multiple movable antennas. If you would like to build your own ground station and have limited knowledge then it is recommended that you follow a non-rotator build with a simple RTL-SDR dongle and a Raspberry Pi. This will get you on to the network quickly and allow you to start scheduling observations. There are a few choices to be made but he community are available to help if you need it. More complex, movable, antenna systems can be steered with either the SatNOGS designed rotator or a commercial unit such as the Yaesu GS5500, Spid XY or similar. It is recommended that these types of builds are for more experienced operators but there is no reason why these can not be put into operation, they just require more work.